Lemon Grass (Andropogon citratus)is known as Garden Tea owing to its fragrance similar to tea. It is taken along with milk, sugar and ginger powder. A person suffering from cold and cough; decoction of lemon grass, flowers of basil, ginger, jiggery, black pepper, coriander seeds and cinnamon bark is given for faster remedy. Steam inhalation of this mix is very is useful in body ache when the person is suffering from cold and cough. When the paste of nutmeg and hot milk is applied on the nose and forehead provides relief from colds and sinusitis. Beleric Myrobalan is extensively used in treating cough. The raw fruit of silk cotton tree mitigates the cough. The root powder of khus combined with honey, relieves the phlegm, hence useful in cough and asthma. There are many home remedies in the form of Ayurvedic formulations and naturopathy that can be used for treatment of cough and cold. The combination of cardamom and ginger (0.5gram each) when given along with honey is extremely useful to wash out the blocked phlegm in cough. The mix of powered cardamom roasted fruit along with ghee and sugar, alleviates cough. The decoction of cinnamon and piper longum (in the proportion of 3 tsp, thrice a day) helps to relieve cough, especially in those people who are Kapha in nature. The mixture of powdered cinnamon, coriander seeds and dried ginger (2tsp, 3 times daily), is extremely useful in cough. When ginger powder (1gm.) 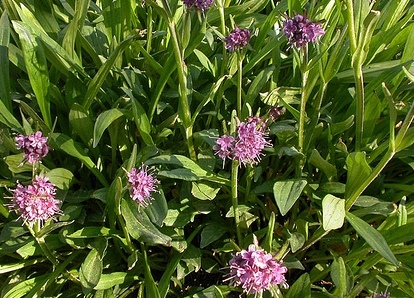 is used thrice a day along with warm, is beneficial in treating of cough and cold. The mix of black pepper powder (500mg.) along with honey, sugar and ghee is beneficial to get rid of cough. A person is suffering from acute cough, it is recommended to take garlic juice with sugar and warm water as home remedial measures. How to control Cold and Cough? Soaked the bakula flowers in water for overnight. now, strained the mixture and give it to your child for speedy recovery of cough. Chewing of basil leaves (5-10) for two months are beneficial in preventing of recurrent attacks of common cold. It also helps to combat all the respiratory tract diseases including cough and cold. The decoction of liquorice and coriander fruits effectively relieves cough. When the mixture of saffron powder (a pinch full) and a glass of milk is taken, helps to alleviate common colds. The decoction of Indian Nightshade roots mixed with piper longum fruits is given along with honey and ghee is an effective remedy for cough, especially for Kapha and Pitta origin persons. 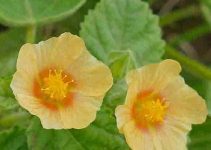 The children who are suffering whopping cough and cold, it is recommended to give them the mix of seed powder of Indian Beech with honey for quicker relief. The nasal inhalation of Indian Beech seed powder is also useful in relieving of phlegm in chronic sinusitis. The roasted fruit of walnut serve as a good remedy in case of dry cough. For the treatment of dry cough, it is good to lick the paste of ginger juice, honey, sugar and turmeric. 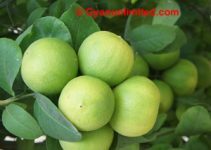 The drinking of lime juice is helpful in dealing with phlegm in cough due to Vata and Kapha. The gargle of decoction of cassia flower is effective in controlling of cough. Taking of fresh juice of fenugreek leaves is effective natural treatment for cough and cold. In case of chronic cough, if you want to release cough, it is better to chew cardamom (2), pieces of cinnamon bark and liquorice bark piece. Nut Gall is one of the best drugs to overcome cough and cold in case of children. Chewing of cloves is also useful in minimising the symptoms of cough and cold. The mix of saffron strands (3-4 in no.) along with milk when taken thrice a day, greatly helps in treating of cold and cough among children. When the powder of fennel and ginger is taken with honey is good to cure cold and cough. Fomentation of ajowain and turmeric can also be applied to the chest and the affected areas to relieve from cold. Musk mallow relieves blocked phlegm in cough. For chronic cough and cold, turmeric should be taken along with jaggery. Inhalation of onion also helps in common cold. For cough and cold, decoction of flowers of basil, ginger, black pepper and long pepper should be taken 3-4 times a day along with honey. For chronic cough and cold, decoction of seven leaves of holy basil and garden mint each, and 3 seeds of black pepper should be taken in the dose of 30 ml. twice a day.